Import cards, custom fields, checklists, members, attachments, teams and boards straight from Excel. Easily create cards and boards from Excel. No more 'download as json'. Just select the extracts.io Add-in in Excel, select your boards and click 'Import'. Have multiple boards you need to import? Select them all and extracts.io will import all of them with one click. Refresh your reports with a single click. 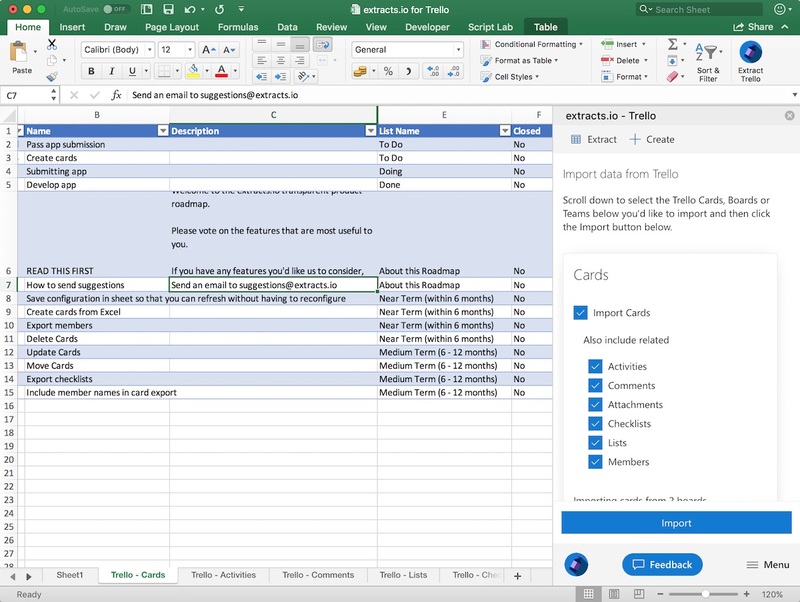 Create whole boards with lists and cards directly from Excel. Start with a sample template or copy and existing board. Create multiple boards at once.